According to the United States Environmental Agency, indoor air quality refers to the air quality within buildings and structures, especially as it relates to the health and comfort of building occupants. The United States Occupational Safety & Health Administration (OSHA) lists inadequate air-condition maintenance as a major cause of poor indoor air quality. When maintenance is overlooked, condensate drain lines can become clogged with sediment resulting in trapped moisture. The accumulated water creates an environment for the growth of dangerous mold, mildew and bacteria, which are collected inside equipment and eventually travel through the duct network. System filters are designed to capture these contaminants and prevent the vast majority of them from entering the offices’ air space. However, if these filters are not replaced according to system specifications, clogging occurs and grime ends up in equipment and eventually affects indoor air. These unseen, pollutants affect indoor cleanliness and can significantly impact human health. According to OSHA, poor indoor air quality can cause headaches, fatigue, concentration problems, skin rashes, and eye, nose, throat and lung irritation. Moreover, chronic health problems such as asthma are linked to indoor air quality and poorly maintained air-conditioning units. Prolonged exposure to certain contaminants has even been connected to life-threatening medical conditions including heart and lung disease and even cancer. The compromised health of employees can have considerable, negative implications for a business’ operations in the form of absenteeism, which directly affects productivity, decreased job performance due to dissatisfaction with the work environment, and increased employee turnover. Apart from the former effects, poor indoor air quality may have financial implications for the landlord in terms of extensive and costly air quality testing to comprehensively ascertain the sources of the issues. Failure to adequately address air quality concerns in a timely manner can result in a tarnished reputation (sick building), which in turn could lead to tenant turnover and decreased landlord profitability. 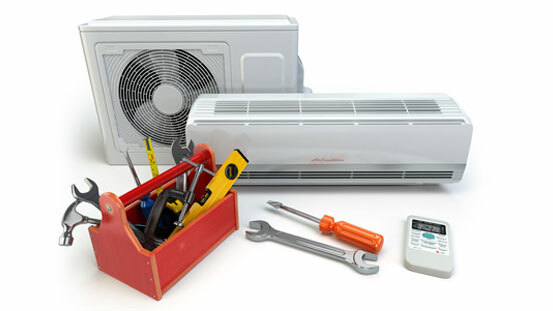 Both landlords and tenants can breathe a sigh of relief if a proactive approach is taken to maintaining air-conditioning systems. Preventative maintenance schedules should be established in collaboration with qualified service providers in order to ensure that all system components are serviced according to manufacturers’ specifications. Utilising a proactive maintenance strategy can not only preserve the life of equipment but also safeguard the well-being of building occupants and contribute to sustained revenue and profitability for landlords.